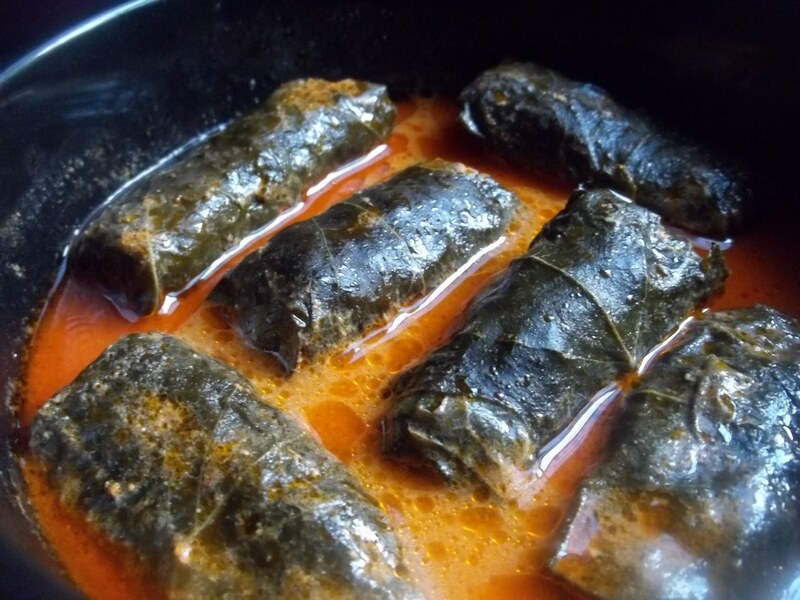 Tolma (Georgian: ტოლმა), known as Dolma in Armenia, Azerbaijan and Turkey, is a popular meal in Georgia and many other countries and there are many variations. It usually describes a filled, hollowed-out vegetable or a filling wrapped in a leaf. Fillings can include meat and vegetables. 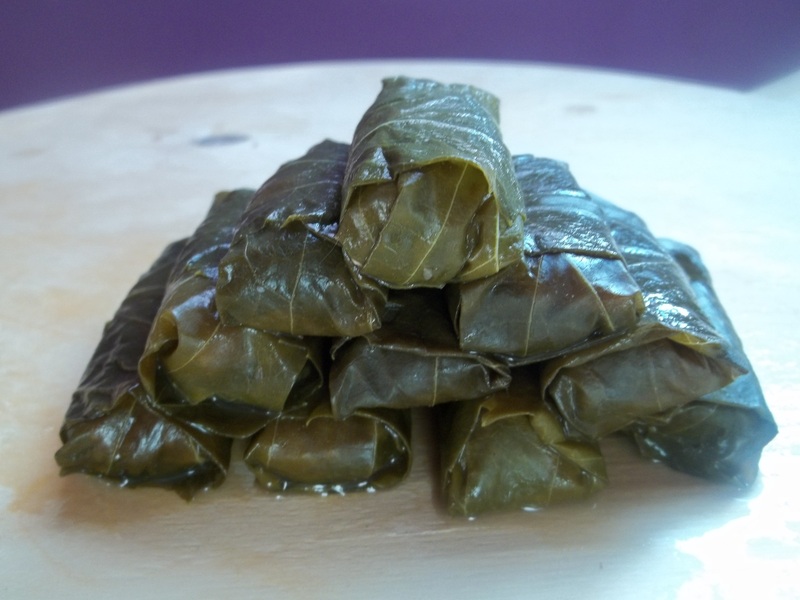 In Georgia, fillings wrapped in cabbage or vine leaves and stuffed peppers are very popular. 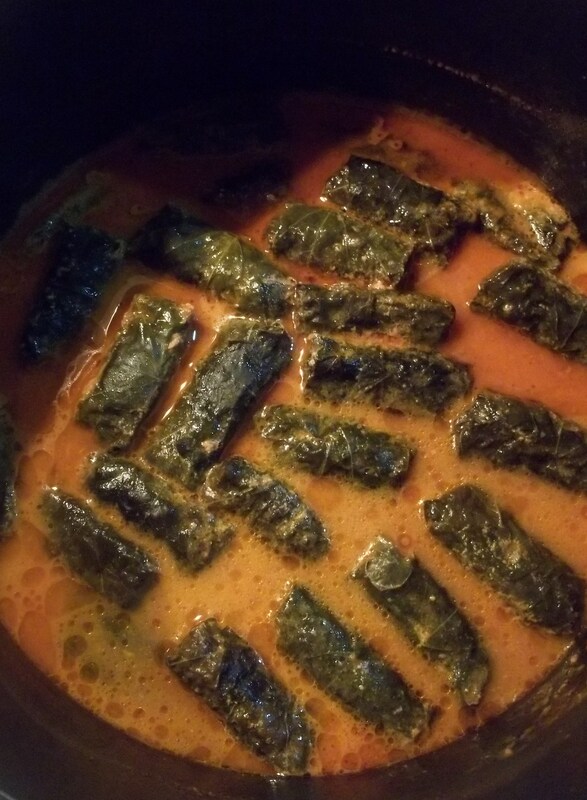 In this old family recipe we will show how to make a vine leaf wrapped meat and rice filled tolma cooked with carrots and a spicy sour cream and tomato sauce. 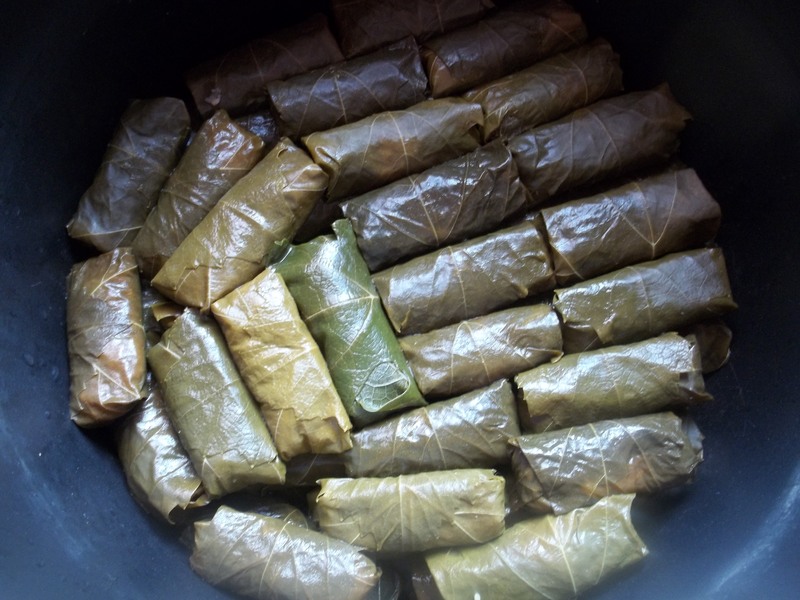 Ingredients (5-6 servings): For the wrapping: up to 60 Vine leaves (new leaves will be more tender). We used leaves from our own vines. 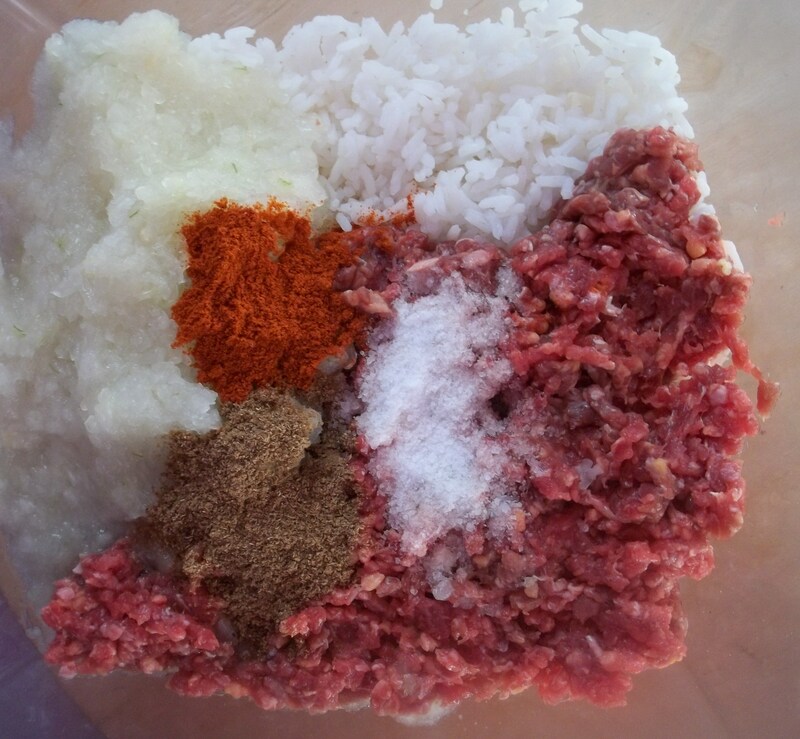 For the filling: half kilo of pork/beef mix mincemeat, 120 grams of rice, 1 tsp of red pepper, half tsp of dried coriander, salt (quantity dependent on personal preference), 4 cloves of garlic, 2 white onions. 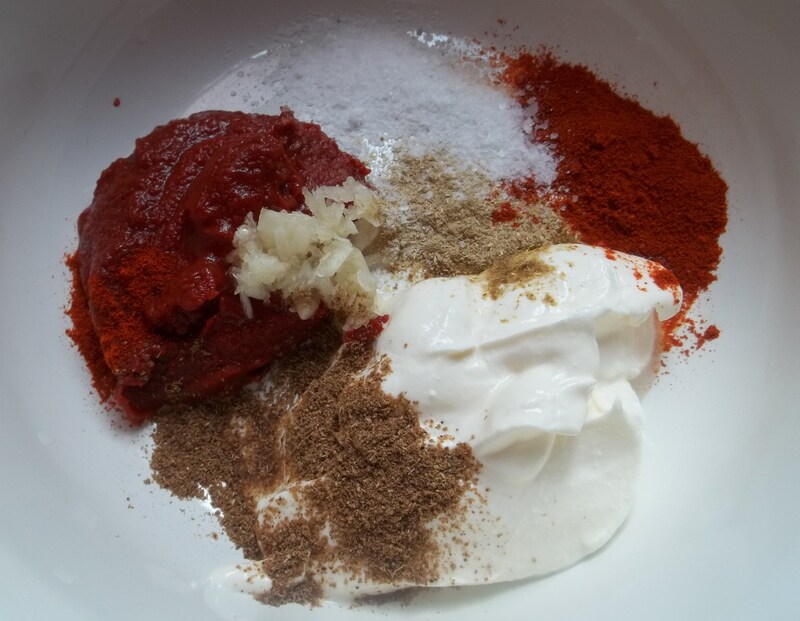 For the spicy sour cream and tomato cooking sauce: 2 tbs of tomato puree, 2 tbs of sour cream, 1 tsp of Blue Fenugreek, 1 tsp of dried coriander, 4 cloves of garlic, 700 ml of water, and salt (dependent upon personal preference). To cook with the tolma: 2 large carrots. 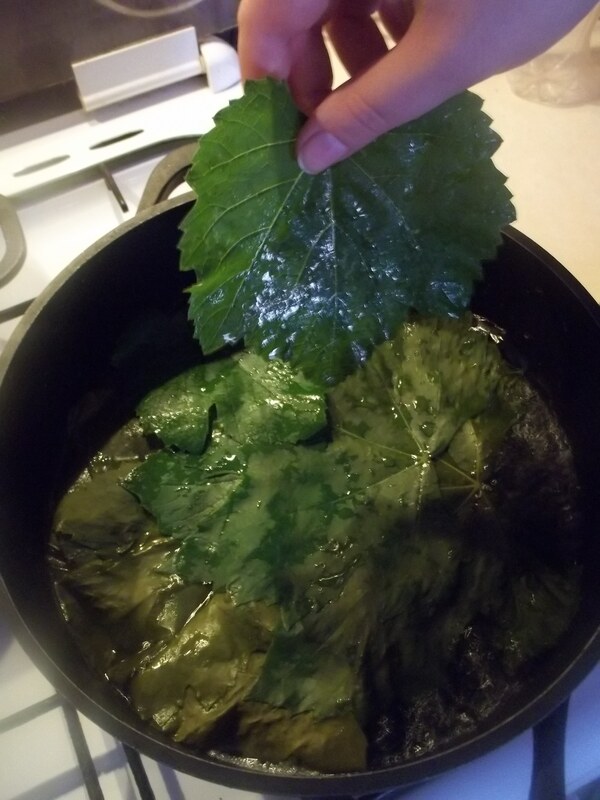 Preparation – Vine leaves: Wash the leaves in cold water and add (individually) to a pot of salted, boiling water. 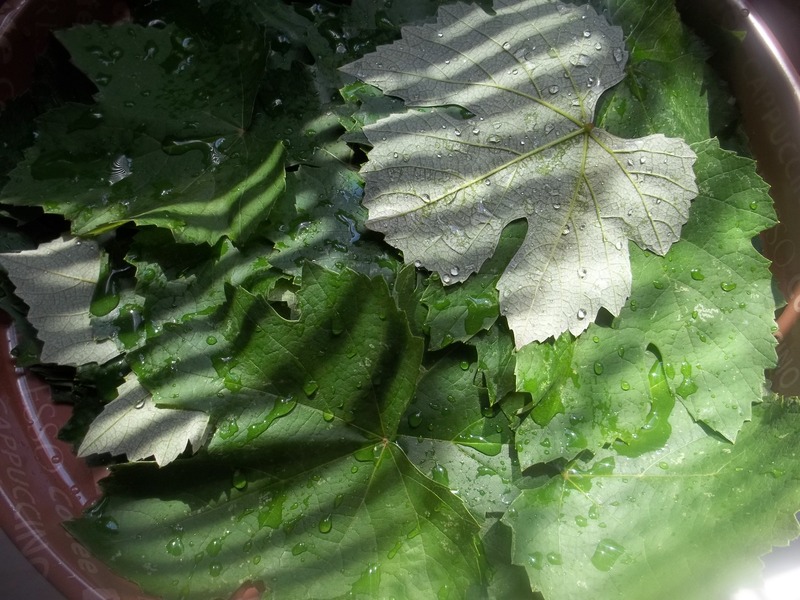 Arrange the leaves so that they lay open and flat in the pot. Boil for 3-4 minutes. 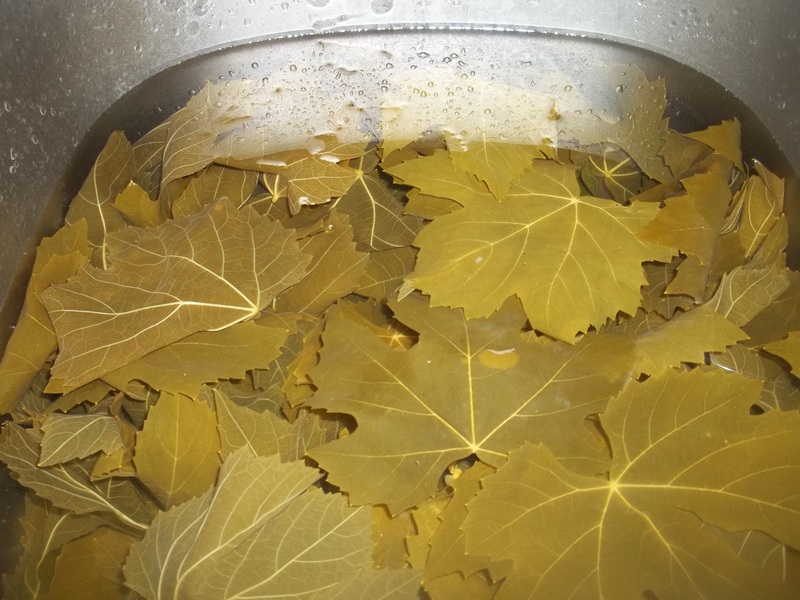 When the leaves have boiled, pour the whole pot (water and leaves) into a sink full of cold water and let the leaves cool. 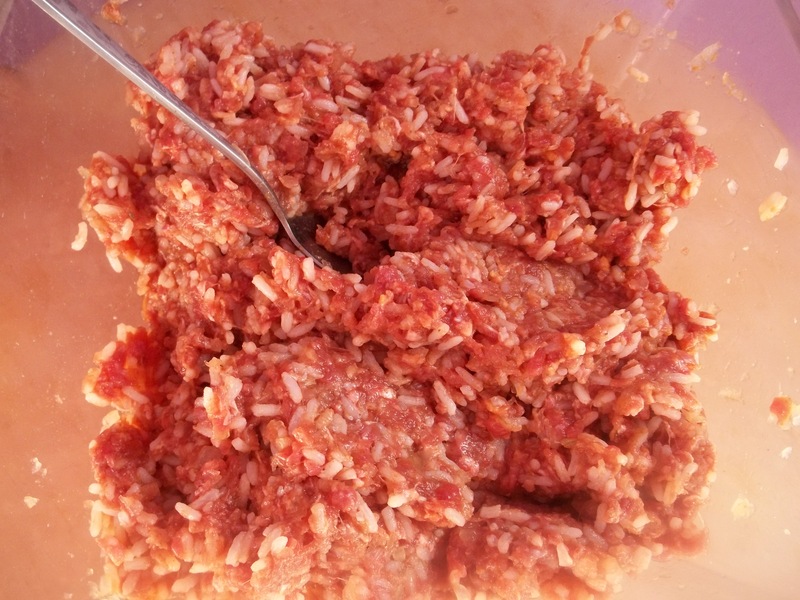 Preparation – The filling: It is not necessary to cook the rice at this stage but we prefer to parboil it before adding it to the tolma filling. After parboiling, pour the rice into a sieve and pour cold water onto it to prevent it sticking. Add the parboiled rice, together with the mincemeat, to a bowl. 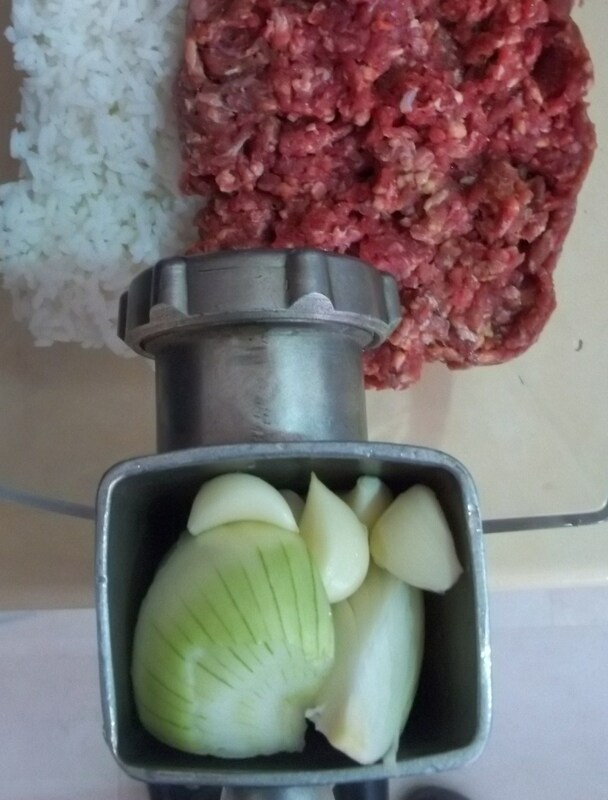 We used a meat grinder to add crushed garlic and onions. Add 1 tsp of red pepper, half tsp of dried coriander and salt (quantity dependent on personal preference). 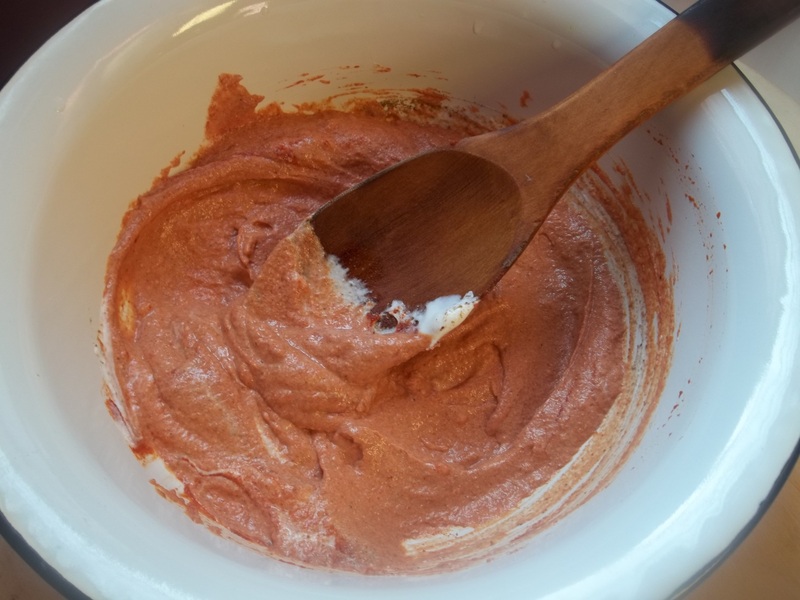 Preparation – Molding the mix: To make an individual tolma, take a small amount of the filling and mold it by hand until it is oblong shape (5-6 cm long). The aim is to create a bite sized tolma. 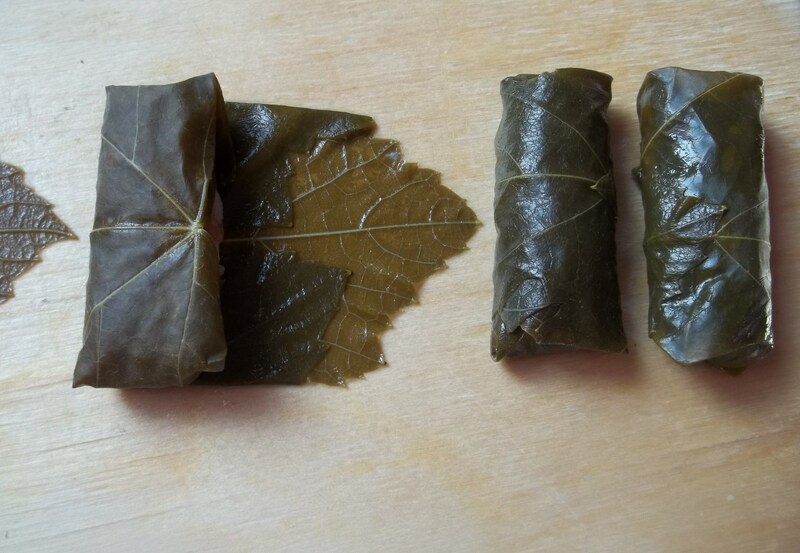 Preparation – Wrapping the filling: Carefully place a wet vine leaf on a flat surface (we used a large wooden chopping board) and place the molded filling at the base of the leaf. 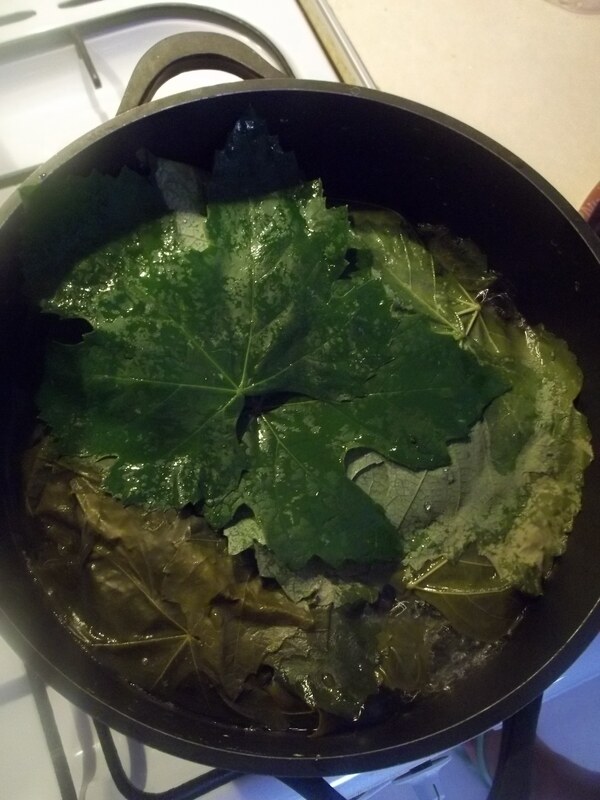 Wrap the sides of the leaf over the mixture (see picture below). 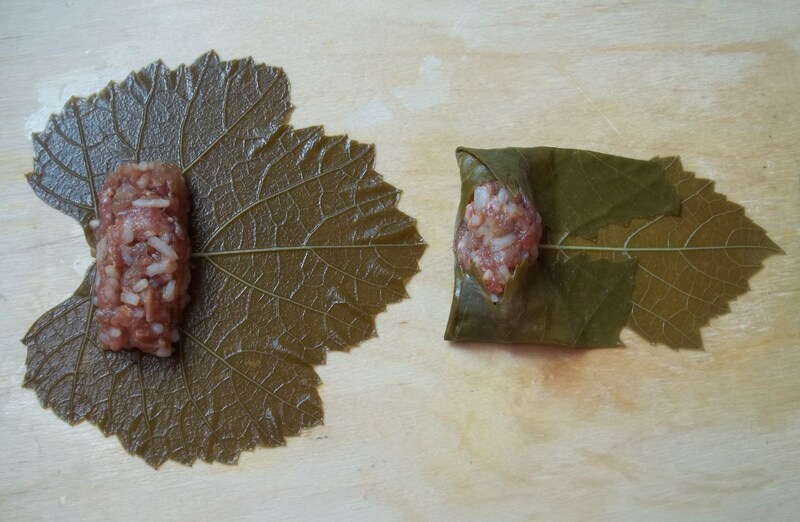 Fold the base of the leaf over and repeat until you have completely wrapped the filling (see picture below). Placed the wrapped filling on a clean surface. We stack ours as it makes them easier to pick up. 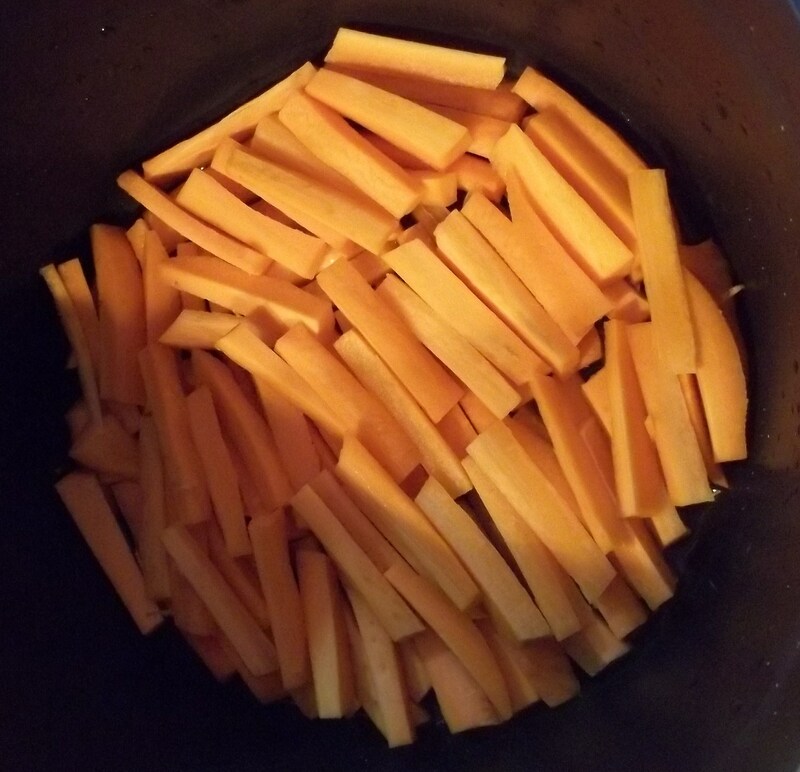 Chop the carrots and place them in a deep pot. The wrapped fillings will be cooked in a spicy sour cream and tomato sauce. 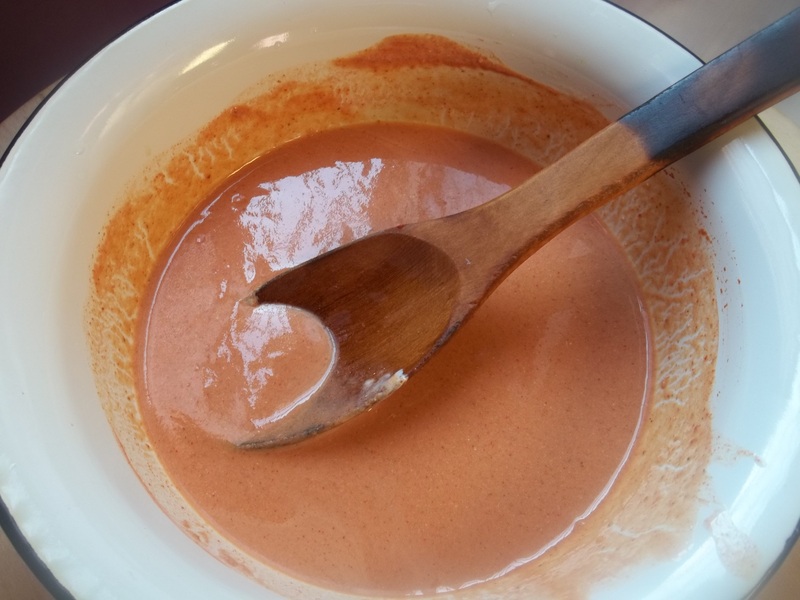 Add the sauce ingredients to a mixing bowl. Add 700 ml of water and stir thoroughly. Place the tolma in layers on top of the chopped carrots. Ensure the tolma are placed close to each other. Pour the spicy sour cream and tomato sauce over the tolma. Cover with a plate and weigh the plate down with a suitable heavy object (we used a metal pestle). 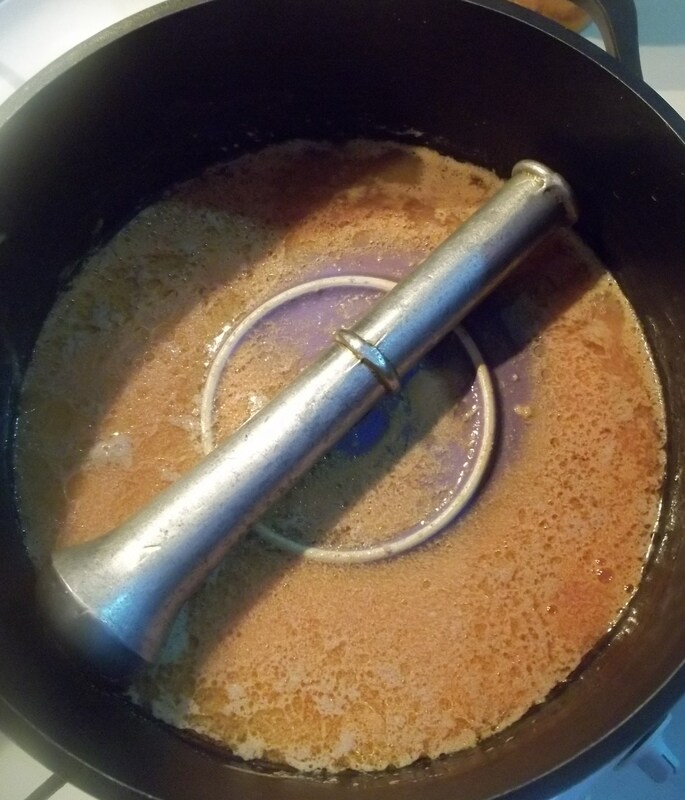 Cover the pot and cook the tolma on a low-medium heat for 30-35 minutes.